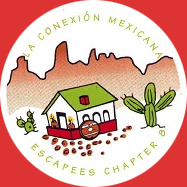 Membership in the Mexican Connection is open to all National Escapees RV Club members. Membership fee for Chapter 8 is only $6.00 annually. To Join Us. . . Simply fill out an application, then follow the instructions on the form to send it to the membership chair and pay your dues by PayPal.